As part of a two-year educational partnership with Lesley University, Mount Auburn Cemetery has engaged a group of scientists coordinated by an “Educator-in-Residence” from Lesley to conduct research on urban bats, ants, pollinators, and biodiversity surveys here, and to use this research to create self-led tours and lessons for small(ish) groups of K-12 students based on our Wildlife Action Plan. This year’s A.J. & M.D. Ruggiero Memorial Trust Educator-in-Residence, Associate Professor Susan Rauchwerk, is currently engaging youth groups in the creation of science-based activities and materials that can be used as educational tools to learn about wildlife habitats, ecology, and conservation at Mount Auburn. One of the participating youth groups is the Cambridge-based STEAM Beans, a Cambridge-based educational program developed by African American women for young African American girls and their families, which is serving as an education consultant piloting a variety of activities through 2018. STEAM Beans is an informal science, technology, education, arts, and mathematics (STEAM) five-year program that runs every other weekend during the school year and once per month each summer, beginning with a small group of fifteen children in grade one and continuing with them and their families through grade five. Director and founder Sheila Johnson has begun working with Rauchwerk and providing input into the development of a fully inclusive science program that fosters the vital skills of observation, critical thinking, collaboration, and visual and verbal communication. Students will explore plant and animal life cycles and reflect upon the role of death within natural and human communities. Already, Rauchwerk has conducted programs onsite with the STEAM Beans students during the spring and summer of 2017, and will pilot a new round of educational concepts in the spring of 2018. In the long run, the goals of the youth program are to engage participants in real-world, culturally relevant, project-based learning experiences, in order to deepen their knowledge of STEM subjects and awareness of twenty-first century STEM careers. “Mount Auburn is unique as it offers a rich cultural history that sustains the stories of African Americans and women scientists who are resting here,” says Rauchwerk, “The cemetery offers multiple ways to engage visitors in learning about diversity and about relationships between humans and their local environment. 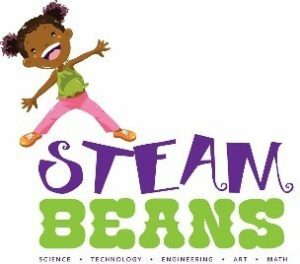 STEAM Beans will provide critical insight and perspective in establishing opportunities where ALL children feel empowered and supported to engage in STEM-based careers and sustainable solutions.” The results from the partnership will also be vital for Mount Auburn’s plans for public programs and education in the future. 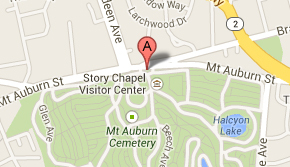 We look forward to following the STEAM Beans experience at Mount Auburn to learn about the new ways that the Cemetery can serve young people as a place to explore and understand nature and conservation in the years to come!